Disney has had major box office success with Frozen this past holiday season. This blockbuster movie brought in over $1 Billion dollars, making it the most successful animated film ever. While children and the young at heart left the theaters with the song Let it Go permeating their brains, the movie and trailer has caused young animator Kelly Wilson to feel left out in the cold. A lawsuit filed in California by Wilson claims that Disney copied her animated 2D short. She is claiming that the trailer copied the story line, themes, and central characters from The Snowman. A copyright infringement case for a trailer is a unique angle, so the result of this case will be one to watch. 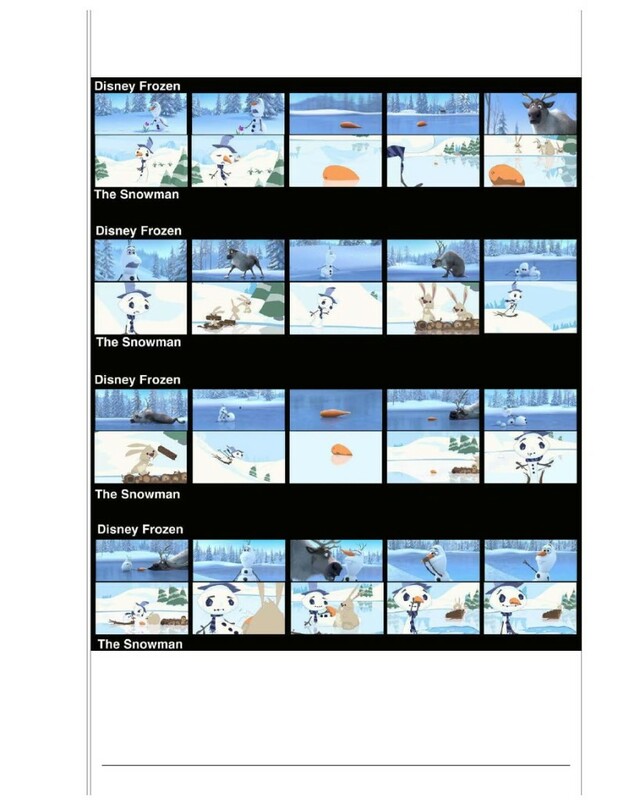 The copyright infringement suit focuses specifically on the Frozen trailer where Olaf, the snowman who provides much of the comic relief of the film, interacts with the reindeer. Wilson believes that Olaf is a carbon copy of the main character of her short, whom she described as “an ‘average Joe’ snowman who must battle a gang of rabbits to save his carrot nose.” The animation blog, Awesome Robo, also noticed Frozen’s“uncanny resemblance” to The Snowman. Copyright infringement can be proven through direct evidence or circumstantial evidence. Direct evidence comes in various forms, including the defendant admitting the infringement or the testimony of a witness. The majority of copyright infringement cases hinge on circumstantial evidence which can be proven by showing (1) access to the plaintiff’s work and (2) similarities between the works. Sufficient circumstantial evidence can help show that there was a strong likelihood that the defendant was exposed to the work and had the opportunity to copy it. Wilson’s complaint includes a frame-by-frame comparison of the two animated works, and it’s hard not to notice the similarity. From a quick glance at the frames, Disney’s trailer looks very similar to Wilson’s, The Snowman. Other than the obvious technological difference of the two works and the change in the rabbit antagonist to a reindeer, the two works are nearly identical. The heart of Wilson’s complaint touches on what, if any, kind of access Disney might have had to The Snowman. Her complaint provides a detailed timeline of events that are persuasive in giving the impression that Disney may have been aware of her work, which was in wide release online and shown at eight film festivals since 2009. The Snowman was shown at the 54th San Francisco International Film Festival where it won “Youth Work Honorable Mention.” Present at that same film festival, and competing in the same category, was an employee of Pixar, a subsidiary of Disney. Wilson claims that she and the Pixar employee also sat on a panel together to discuss their animated films. Her complaint goes on to claim that she applied for jobs at Disney from 2009 to 2013, submitting The Snowman as part of her job application. These events are very compelling in addressing the numerous instances that Disney would have seen or had access to Wilson’s movie. Whether or not they consciously or unconsciously based the Frozen trailer on The Snowman is debatable, but for sure it will be hard for Disney to talk down the access element based on these facts. The Frozen trailer did leave some other people confused when they finally saw the movie. Dav Kios, in his piece for Slate, felt that the trailer for Frozen was misleading, citing the response of this 6 year old daughter who complained that she expected to see a story about a snowman fight with a reindeer over carrots. Forbes also noted that Disney’s trailer for Frozen was a complete departure from the full story and that “kids were lured by the talking snowman.” These statements of confusion over the plot of the movie based on viewers impression of the trailer is an important for Wilson’s case as it signals that movie goers who viewed Frozen’s trailer, were enticed to see the full-length movie, based on the plots and themes she believes are substantially similar to her movie. So what do you think? Is the Frozen trailer similar to The Snowman? If so, should she receive compensation for her works that was intricate in marketing the film which went on to make over $1 Billion? Or should she (screaming at the top of our lungs) LET IT GO!!! Kerene Tayloe is a young attorney with a strong passion in intellectual property and entertainment law. 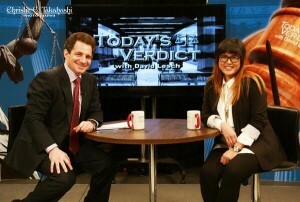 She is a graduate of Florida A&M University College of Law. She currently resides in Washington, D.C.